Discover the sporty side of Dansko with the Dansko Honor sneakers. 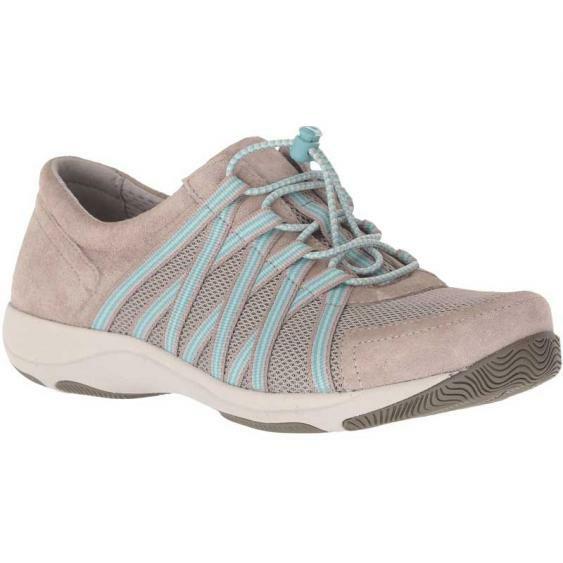 This women’s sneaker has a lightweight leather and mesh upper designed with elastic laces for a fun look an easy entry. An EVA midsole creates shock absorption and Aegis® anti-microbial treatment ensures odor control. The footbed of the Honor is removable to accommodate custom orthotics and it’s memory foam covered for all-day comfort. Strobel construction creates flexibility. This lightweight, flexible, and fun Dansko sneaker is just what your wardrobe needs.